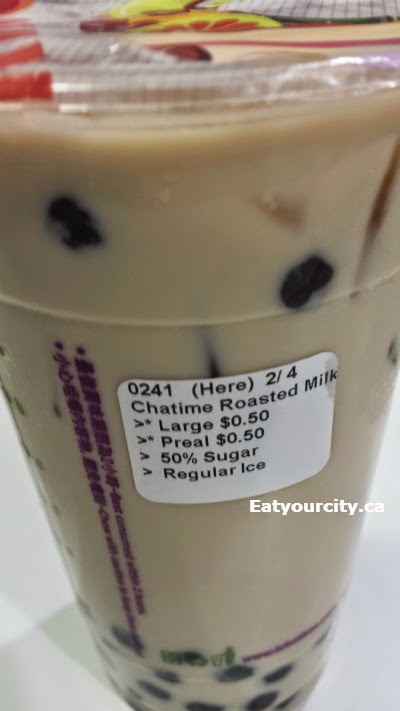 Eat Your City: Chatime Calgary, AB - new go to place for tasty bubble tea! 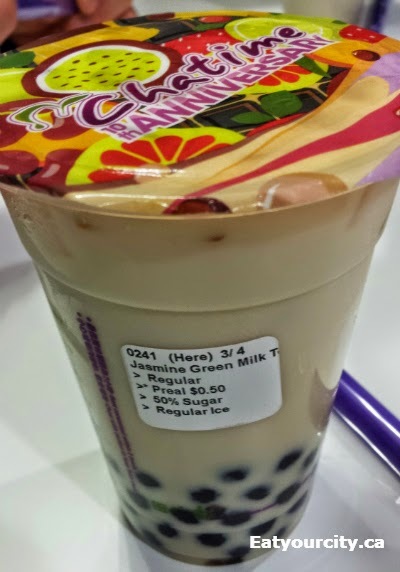 Chatime Calgary, AB - new go to place for tasty bubble tea! 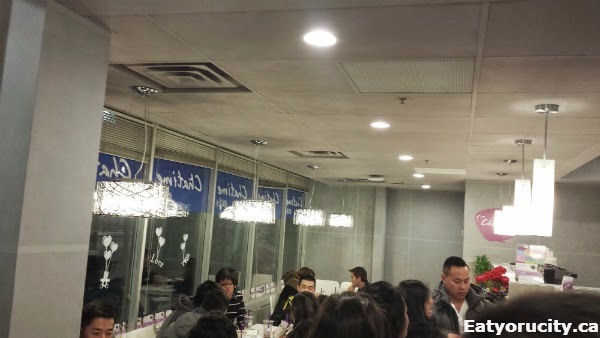 Posted by Bubble tea is beloved in Taiwan, and this chain from Taiwan knows their stuff. They have their own tea farm where they have been growing and producing tea for over 30 years. They have over 800 stores worldwide, expanded into Canada at a Toronto downtown location in Sept 2011, and they've newly opened in Calgary, just to the left of the entrance to Dragon City Mall. Lets get on to the bubble tea! normal / extra. The drinks take a bit longer to make because of the customizations, but you can check out the decor as folks continue crowding and lining up into the store. 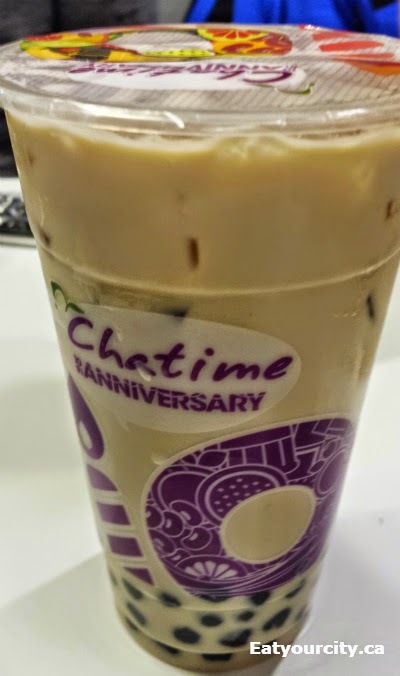 I stole most of my fiancé's drink - Chatime roasted milk tea. This is their most well known drink, and for good reason. It has the depth and flavor similar to a good strong Hong Kong style milk tea, but a lot lighter since its made with milk instead of condensed milk. I had it 50% sugar as the gal behind the till told us it was one of their sweetest drinks. Delicious! MatchaMeanTea had the Brown Rice Green Milk Tea, and said it was simular to the roasted milk, but less fragrant and had more maltier notes to it. We also enjoyed the Jasmine Green Milk Tea. Its also one of their most popular drinks as the Jasmine tea base gives it a distinctive light floral fragrance. I think I'll have to try the mousse topped drinks or Hazelnut Chocolate Milk Tea or the Matcha Red Bean Green Tea next time I'm in town! So many menu choices, so little tummy space!